Pre-Order Tea Collection's 1st Fall Delivery! 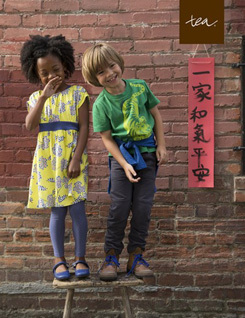 The 1st fall delivery for the Tea Collection is set to arrive Fiddlesticks this coming Tuesday, June 11th. We are really excited for this seasons designs which are inspired by modern China. Pre-order online today or come in and take advantage of the 20% off all Tea Collection Spring & Summer sale that just started!